The Valley is our two bedroom, one bath garden style apartment in Westfield, MA. Enjoy our fully applianced eat-in kitchens that come stacked with a breakfast bar and tons of cabinets and counter space! 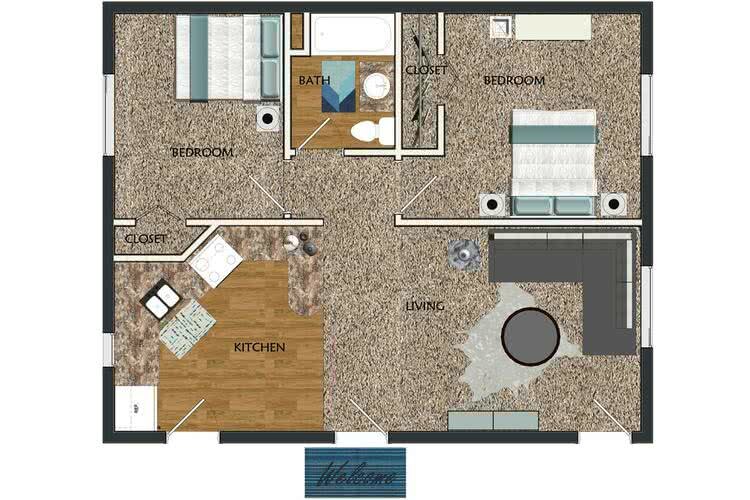 Our kitchens open right up to large living area making The Valley the most spacious 2 bedroom apartment in Westfield, MA!